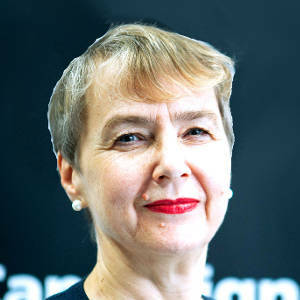 Kate Hudson has been General Secretary of CND since September 2010. Prior to this she served as the organisation's Chair from 2003. She is a leading anti-nuclear and anti-war campaigner nationally and internationally. Conventional wisdom – especially in the US – suggests it was necessary to drop the bomb on Japan in order to bring about a speedy conclusion to the war and save lives. Even today many people genuinely believe that the bomb was necessary to bring about a Japanese surrender and to avoid the need for an invasion of Japan by the US, which might have cost hundreds of thousands of lives. But extensive scholarly research in the US, using primary sources from the time, shows that this just wasn’t true. By the time the bomb was ready for use, Japan was ready to surrender. As General Dwight Eisenhower said, Japan was at that very moment seeking some way to surrender with minimum loss of face, and ‘it wasn’t necessary to hit them with that awful thing.’ So if Japan was ready to surrender, why were atomic bombs dropped on Hiroshima and Nagasaki? A significant factor in the decision to bomb was the US’s desire to establish its dominance in the region after the war. Those planning for the post-war situation believed that this required US occupation of Japan, enabling it to establish a permanent military presence, shape its political and economic system and dominate the Pacific region without fear of Japanese resurgence. But Japanese resurgence was no longer the US’s key strategic concern; its main concern above all, was the Soviet Union in the post-war world, both in Asia and in Europe. The Soviet Union was the US’s wartime ally against Germany. Ultimately, of course, their economic systems were incompatible; the US would not accept that any part of the world economy should be closed to it, and those seeking an alternative to the market economic model of the US tended to look to the Soviet Union. This looming antagonism was heightened by the increased power and prestige of the Soviet Union following its role in breaking the back of Germany’s military machine. The US consequently wished to prevent a Soviet advance in Asia and subsequent Soviet influence on Japan. Modern research findings clearly demonstrate that from April 1945 on, top American officials calculated that using the atomic bomb would enormously bolster US diplomacy vis-a-vis the Soviet Union in negotiations over both postwar Europe and Asia. The atomic bomb was not, in fact, initially brought to Truman’s attention because of its relationship to the war against Japan, but because of its likely impact on diplomacy. Whilst many leading US politicians, diplomats and military figures thought it unnecessary to bomb Japan, the group around the US’s president at the time, Harry S Truman, pressed strongly for it. Secretary of War Henry Stimson, for example, described the atom bomb as the ‘master card’ in US diplomacy towards the Soviet Union. By early 1945 it was clear that while the Japanese government was not offering ‘unconditional surrender’, it was nevertheless seeking a negotiated surrender, via the neutral Soviet Union. Its condition was that the position of the Japanese Emperor Hirohito would be maintained without loss of face. A possible scenario would have been altering his role to that of constitutional monarch and ensuring his exemption from war crimes charges, charges that could have led to his execution, as they did with many leaders of Nazi Germany. There was general agreement amongst the Western leaders that this would be an acceptable approach, but this position was not conveyed to the Japanese government. Indeed, records indicate that President Truman kept this out of the Potsdam declaration – the post-war settlement that the Great Powers (the wartime alliance of the Soviet Union, US and UK) worked on – because the US A-bomb test at Alamogordo had just been successfully concluded. The US leadership did not inform the Japanese that its surrender terms were more or less acceptable, because it needed an excuse to use the bomb in order to demonstrate its awesome power in a world where only the US was in possession of this weapon. Its only opportunity to do so was before the Japanese surrendered. The Soviet Union had promised to enter the war on Japan three months after the end of the war in Europe. That day was rapidly approaching and the US had two reasons for wishing to use the bomb before this took place. Firstly, there was every likelihood that Soviet entry into the war would trigger a Japanese surrender, thus removing any justification for using the atom bomb. Secondly, the US wished to prevent any possibility that the Soviet Union would occupy Japan whilst the US troops were still far away and so consolidate Soviet influence. So the US dropped the first atomic bomb on the city of Hiroshima on 6 August. On 9 August the Soviet Union entered the war in Asia, as promised. Later the same day, before Japan had had time to grasp and respond to the ghastly results of the Hiroshima bomb, the US dropped a second bomb on the city of Nagasaki. The US government got what it wanted, but at the most appalling human cost. Every generation since 1945 has lived with the knowledge of these crimes and with the fear of their repetition, with far more powerful and destructive weapons. This year, as we remember Hiroshima and Nagasaki, those who died, and those – the hibakusha – who survived and bore witness, let us recommit, in these most dangerous times, to the global abolition of nuclear weapons, to a world of peace and justice. Survivors of the Hiroshima and Nagasaki atomic bombings have helped drive the movement against nuclear weapons for over 70 years. Please donate to our appeal to make sure the stories of the Hibakusha continue to be told and strengthen our campaign to prevent another Hiroshima or Nagasaki. Your support goes a long way! Join our campaign to Scrap Nuclear Weapons! © Campaign for Nuclear Disarmament, a company limited by guarantee, registered in England and Wales no. 3533653.